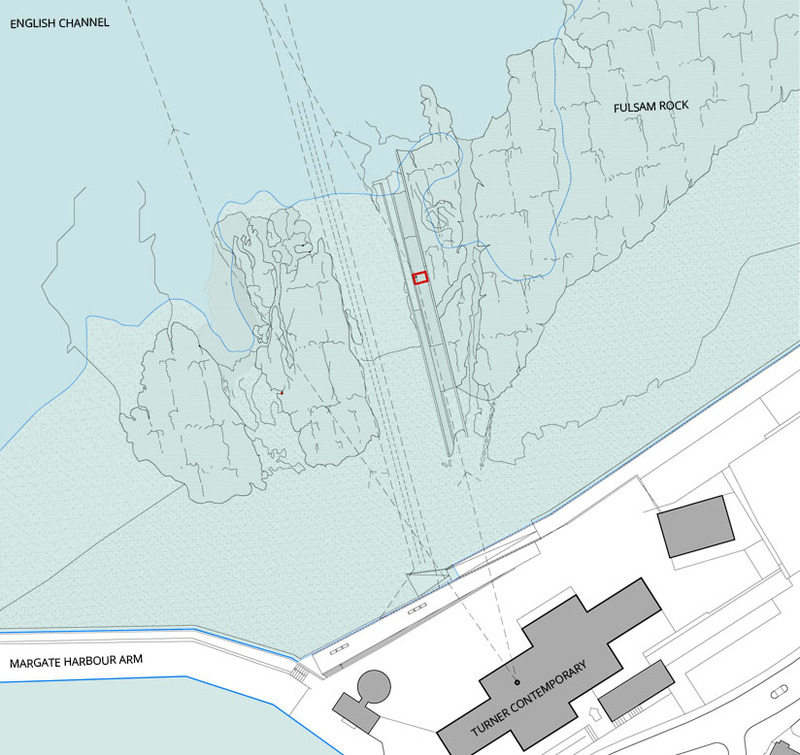 Site location plan, Sculpture was located 130 metres beyond the sea wall. Primary steel sub-frame installed prior to colloidal concrete infilling. Sir Antony Gormley's cast iron sculpture from his series 'Another Time' is sited far out at sea on the chalk bed beyond Turner Contemporary Art Gallery, Margate. We collaborated with the gallery, providing design assistance at Feasibility, Planning and Construction stages. 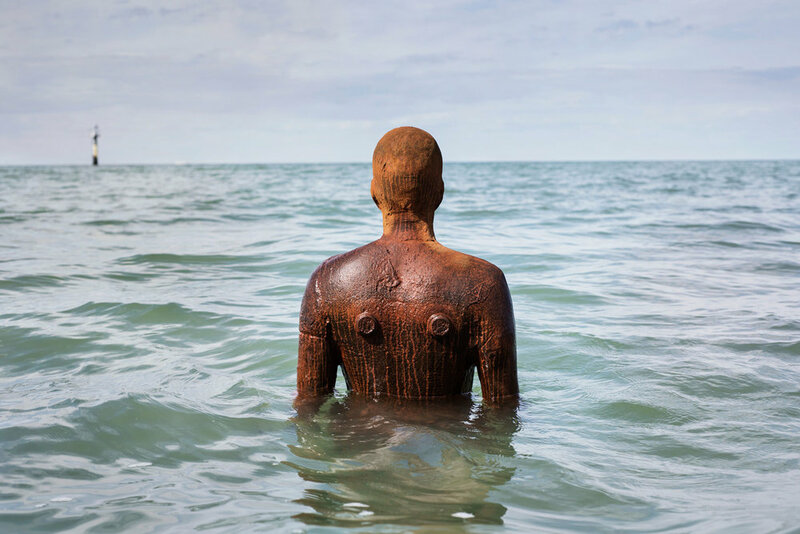 Visible from the vast windows, it invites reflection on being human and, like other works by Gormley, is a cast of his body. 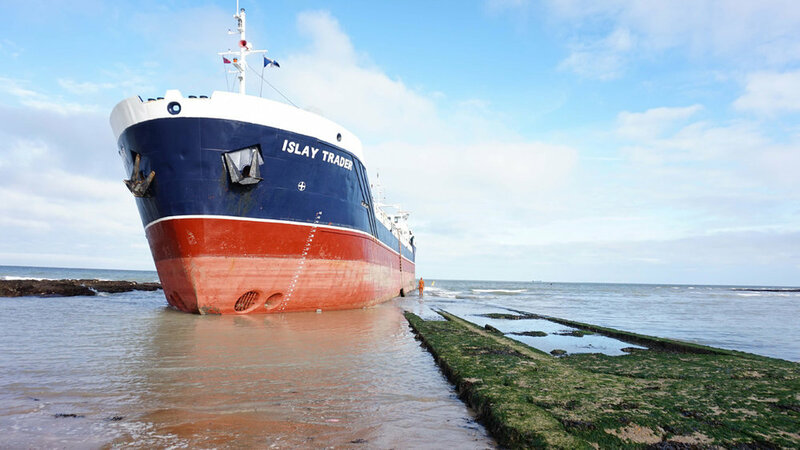 The site is part of Thanet's protected coastal chalk, UK's longest, and a Site of Special Scientific Interest. On it below the tide colourful sponges, anemones and sea squirts abound, along with various crab and fish species. The sculpture is positioned within Fulsam Rock upon remnants of the former jetty used for promenading, now reclaimed by nature. At high tide the sculpture is completely submerged, becoming visible as the tide recedes. Having assisted the artist in his choice of a suitable site, we relished the ensuing complex design challenges. Collaborating with Structural Engineers Considine Ltd we developed a low impact foundation set above the protected chalk to provide the necessary ballast for securing the sculpture in its upright position and resisting the colossal forces of the sea: an pre-fabricated framework connecting existing sections of concrete foundation stones from the former jetty. Colloidal concrete was pumped from the shoreline some 130m to entomb the framework. The final secure connection of the sculpture is unique and secret. Construction was undertaken in phased work stages day and night according to the tides. 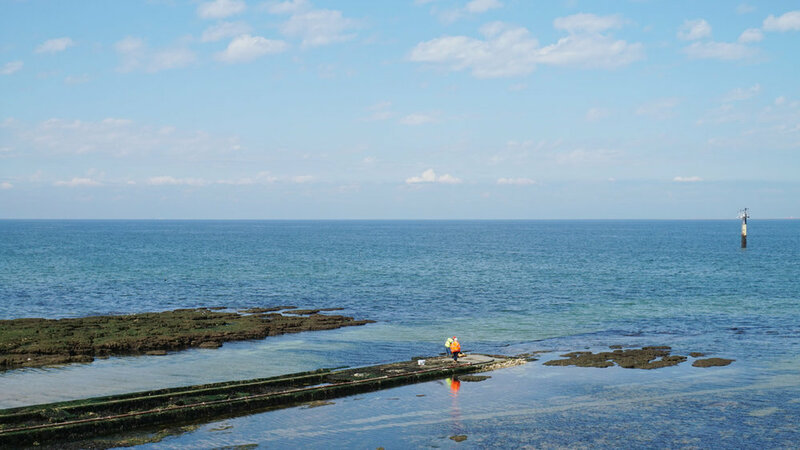 This project being part of the 'Folkestone Triennial', one of the UK's most ambitious public art exhibitions, it also formed the flagship project of the 'Creative Foundation' – an independent arts charity dedicated to creatively regenerating seaside towns.